Oriental is a great spot for cruisers to pause, put their feet up for a bit, and enjoy life on the ICW. 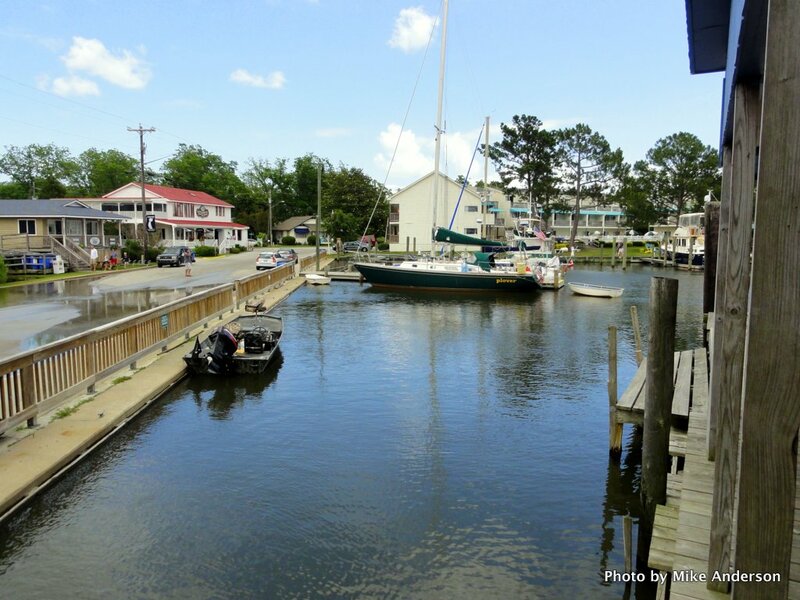 Oriental, North Carolina, is just off the Neuse River at ICW mile 182 and provides a welcoming stop for cruisers. The anchorage just inside the breakwater has good holding and room for a half-dozen boats. Continuing a short distance it becomes obvious this harbor isn’t exclusive to yachts, but is also home to a fleet of shrimpers. Beyond the shrimp docks is the town landing which offers free dockage for up to forty-eight hours on a first come first served basis. Should the free spaces be full (there are only two) a small marina is available right next door. Once tied to the dock it is an easy walk across the street to The Bean coffee house for pastries, juice, and of course a variety of coffees. So close is this to the dock that boats at the landing can access their free wifi! Less than a block up the road is a marine store with just about everything a cruiser could want in their well-stocked parts department. This store also offers bicycles to those who want to see more of the town. Two blocks up the road is a must-see marine consignment store. Rare is the sailor who can leave this shop empty handed. A good supermarket is less than a mile up the road, but on the way a large antique shop is just too inviting to pass without a visit. Happy hour at the waterfront usually centers around the Tiki Bar at the marina where all hands enjoy the lawn chairs facing this most interesting of harbors. Information on cafes and restaurants is conveniently posted on phone poles. A fresh seafood shop is across the street from the marine store. Saturday sees the waterfront transformed into a farmers’ market offering produce and crafts. Above all, and on any day of the week, is the obvious pleasure the residents take in welcoming visitors to Oriental.